In this post we pass on some news from our partners -near and far. The UK Federation of Family History Societies reminds us that, if we are quick, we can beat the 16 February Price Rise for UK BDM certificates. 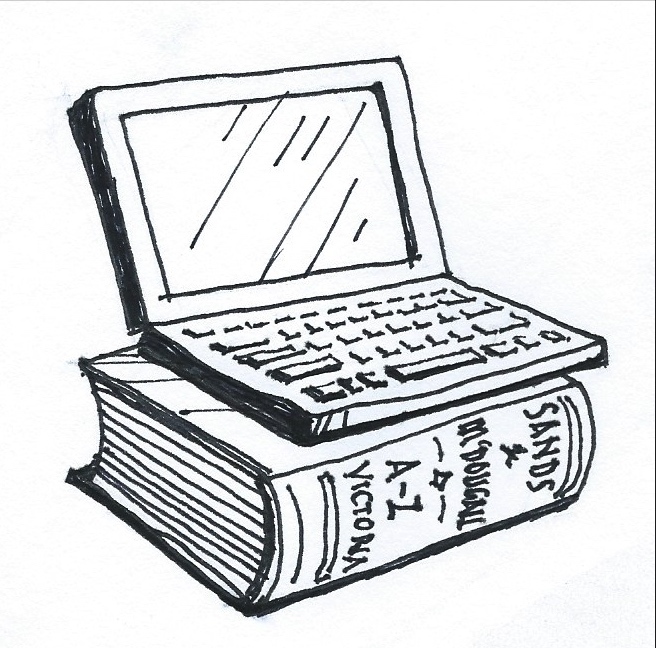 And, nearer to home, PROV (Public Records Office Victoria) is launching a new version of their online catalogue. You could assist them by providing feedback. It's not long before the cost of UK birth, marriage or death certificates and of the PDF versions will go up. On 16 February 2019 certificates will increase from £9.25 to £11.00. At the same time, the PDF version will rise from £6.00 to £7.00. Work out which PDFs or certificates you need. Send in your order (https://www.gov.uk/order-copy-birth-death-marriage-certificate) before the last-minute rush. 'Hello history lovers, You are receiving this request for feedback because we value your opinion on archival research. This week we launched a Beta version of our new online catalogue for the collection held at Public Record Office Victoria. We recognise this collection is vital for people seeking information about their family history and accessing public records. * A simpler interface to browse lists of items and series. We are seeking feedback over the next few months about the features of this catalogue, which is why we have decided to launch it in Beta first. You can easily access the new online catalogue by starting your keyword search on our website and then switching the toggle at the top of the page to switch to the new catalogue interface. To send us feedback click on the feedback button on the top right hand side of the page. Please take a look at this video introduction to our new online catalogue and send us your feedback. 'The Married Widows' is a term describing the wives 'left behind' by their husbands who departed England to seek work and/or new lives overseas. The men usually intended to return home with an improved financial postion, or looked to establish themselves in new homes and communities and send for their wives and children later on. This was not always the case, quite often the separations became permanent. The concept of 'left behind' is also interesting. This tends to imply a passive role for the women, but in many cases they were active participants in the decision, sometimes refusing to go, but more often agreeing to maintain the family at home until the whole family could eventually be reunited in better circumstances. 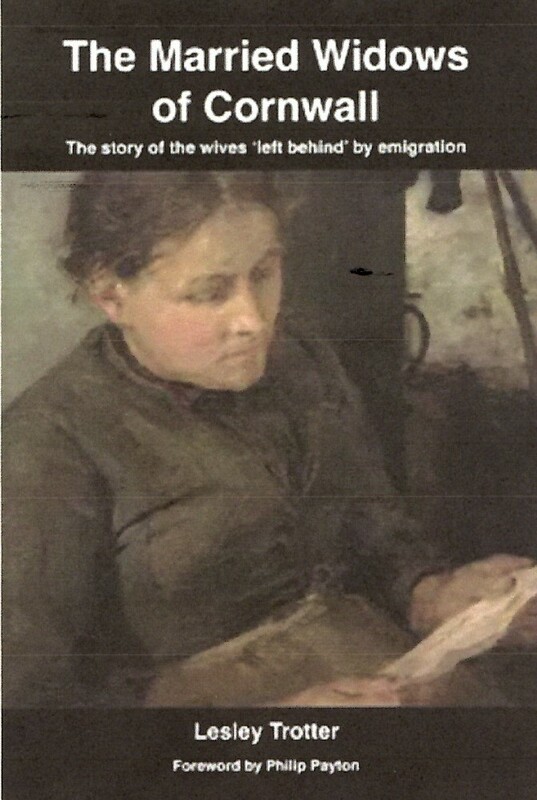 Dr Lesley Trotter, a historian and genealogist, has conducted extensive research on this phenomenon of family separation in 19th century Cornwall and sets out the findings in her fascinating book, The Married Widows of Cornwall: the story of the wives 'left behind' by emigration. What skills and resources could the wives and families turn to in the face of long term absences of the key family-breadwinners? Were destitute wives forced into prostitution, or families bundled off to the workhouse? Dr Trotter provides new perspectives and many first hand stories on how the wives and families survived at home while husbands worked overseas, some sending home money (and quite a few not), others dying overseas and more again drifting apart and never reuniting. Dr Trotter uses a broad range of resources in her research and is still keen to hear from family historians with stories to tell of their own married widows. Although the book is based on Cornish research, the findings resonate for those researching in other counties as well. The next meeting of the South West England Research & Discussion circle will discuss Dr Trotter's book and how her findings relate to our own family stories or perceptions of Married Widows, those left behind when our ancestors first ventured to these shores. It is often difficult to find women's stories in family histories and Dr Trotter's research is a valuable resource which helps bring their lives and voices to the fore. Dr Trotter is keen to have feedback from discussion of the book and hopes that those attending this session can bring their own stories. The SWERD meeting (free for for GSV members) is on Wednesday 13 February, 12:30 - 2:00pm at GSV. A search of the internet for family history software will give you a multitude of programs to choose from. Do some research before you decide on the best program for you. Make sure that it suits your needs. 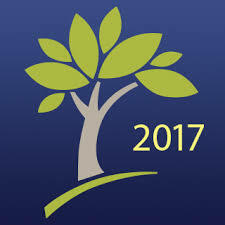 VICGUM has arranged for free one-on-one help sessions for GSV members who are Family Tree Maker users. Each session will be 45 minutes and it is essential that a booking be made for each session. Sessions will be held at the VICGUM office, Level 4 – 83 William Street, Melbourne and will take place on the 2nd Tuesday of each month in 2019, commencing on the 12th February, 2019. Numbers will be limited. Bookings are to be made by email: bookings@vicgum.asn.au Please include your name, preferred time, GSV membership number and your contact phone number. Note: If you are not using a family history software program then you can book for a general introductory demonstration. Huge new workhouses were built across England and Wales after 1834 to accommodate and control the poor in accordance with the Government's new poor law regime. The regime was introduced in Ireland, and on a modified basis in Scotland, from the 1840s. The workhouses and laws were deliberately harsh - and the impressions left by Charles Dickens and others attest to the living and working conditions of our ancestors who were inmates, workers or officers. A talk at GSV this coming Thursday 31 January - 12 - 1 PM - will introduce you to the New Poor Laws and the workhouses. See all details on our website NEW POOR LAW TALK. Stephen Hawke will describe the harsh laws, rules and living conditions that broke up families and institutionalised children; the scandals and lax government response; and what it was like to live, work and die in a workhouse. Find out how to use the records and resources at the GSV to discover if your ancestors were involved. The Book of the Bastiles (G Baxter, 1841) provides first hand testimony from inmates and others and records that families suffer the greatest destitution rather than submit to go into the workhouse. Tens of thousands were admitted each year. The Governor of Bath gaol reflected that former workhouse inmates far preferred prison residence, discipline and food to that in the workhouse. In too many workhouses the gross overcrowding, maltreatment, starvation diets and corrupt practices by some workhouse managers compounded the misery for inmates. In the 1840s a series of appalling workhouse scandals and deaths in Hampshire, Surrey and Yorkshire embedded a fear of the workhouses which prevailed until they were closed in the 20th century. The New Poor Laws are important social history and for many of our ancestors the workhouses were a major factor in their departure for the Australian colonies. A big welcome to Jenny Redman, who was endorsed as our incoming President at the Genealogical Society of Victoria AGM in October. Our thanks and congratulations are extended to David Down for all his work for the Society in his term as President. David was also the inaugural contributor of this blog from the 'President's Keyboard'. Jenny started her career as a pharmacist, but later moved into Psychology. She studied for a PhD at La Trobe University then moved to an academic position at Monash University researching the circadian timing system and its effects on sleep and drug effects. Later in life she decided to pursue her lifelong interest in history, and became a keen member of the GSV, joining the Council in 2013. I am looking forward to our coming year at the GSV. In particular I am keen to further develop what the GSV provides digitally, and to reach out to the diverse ethnic communities in our population. There are lots of opportunities for us to help people find and tell their stories. The GSV's Annual General Meeting was held in October. For those members who did not happen to read the Report and Financial Statement some extracts are given below. Members can view the full reports on the website. Under David's leadership, last financial year was one of consolidation. We concentrated on regular engagement with new members, increasing our education activities with the introduction of new Discussion Circles and a DNA for Family Historians program, and embarking on a program to upgrade our IT infrastructure. Our long-standing Vice-President, Tony Arthur retired. Tony’s service over many years as both President and Vice-President has been highly valued especially over our move from Collins Street to our current location. Claire Johnson also retired after many years of service and we are very grateful to her as she has continued to stay heavily involved in our Volunteers and IT programs. Leonie Loveday, Margaret McLaren and Michael Rumpff were elected to Council for two-year terms. The Society has three staff members and now has 182 volunteers, with 12 new volunteers this year. 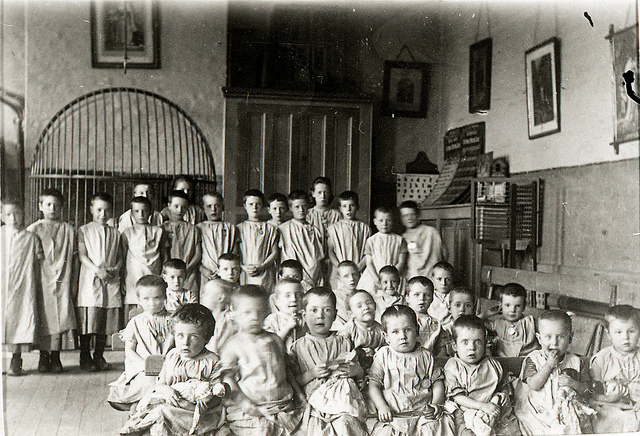 They contribute as library and research assistants, in digitising and scanning family histories, indexing hospital and cemetery records, in administration, producing Ancestor, maintaining the library collection, and in education, IT, digital media and communication and the three special interest groups of International Settlers, Irish and Scottish. The GSV extended its grateful thanks to each one of you for the role you played in this work. Our core collection of specialised family history assets is held at the Centre. We have continued to add resources such as journals from Family History Societies from around the world and our catalogue now holds over 105,000 indexed entries from these journals. Cemetery Records: The Society holds a very large collection of transcriptions of headstones of almost 800 cemeteries throughout Victoria. Of these about 75% have been indexed. Our cemeteries database now contains over 840,000 records from 605 cemeteries and 232 of these have the index page attached to the record and are searchable by members from home. The Genealogical Index of Names (GIN): The database continues to expand and now contains nearly 3.5 million Australian and overseas records. Approximately 1,300 histories are now available for viewing on the PCs at the Centre. We completed the indexing and published 'Occupiers and Owners of Property in Richmond for 1857 to 1902' with over 360,000 names. We expanded the number of Discussion Circles to seven, adding British India and London. The Northern England Circle now includes Yorkshire. Our 'DNA for Family Historians' seminar in November had 100 attendees and many others registered on a waiting list. Our journal Ancestor won the Nick Vine Hall competition for the best family history magazine/newsletter in Category B, societies with over 500 members (having become eligible again after our win in 2015). We are steadily expanding our social media presence to communicate better with our members and the wide public. We updated the website, published 157 posts to our Facebook site (1,890 followers), 50 blogs (20,183 visitors /50,602 visits in the year), and hosted discussion of family history writing on the Writers Circle's closed FB site (52 members). So it was a busy and interesting year at the GSV. There is a great opportunity to get the background to the Old Poor Laws pre 1834 and how they may have impacted your ancestors. Before Henry VIII dissolved the monasteries in 1536-9, the monasteries took care of the poor in England and Wales. With the monasteries gone, this responsibilty was shifted to each parish. An entire system of laws and documents grew up around caring for the poor. For the researcher, these documents can be invaluable in tracing migration of families, both poor and not poor, in England and Wales. Poor law documents can also reveal family relationships as well as giving insight into living conditions of ancestors. Poor law records are also known as parish chest records. This is because a chest kept in the church or the priest's house was used to store parish records.